* forensic science and detection methods and forensics in the courtroom. 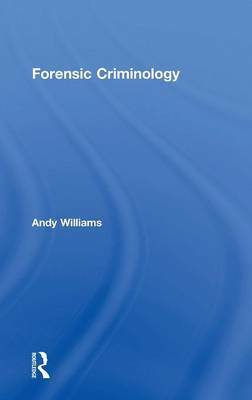 The text combines coverage of historical research and contemporary criminal justice processes and provides an introduction to the most common forensic practices, procedures and uses that enable the identification and successful prosecution of criminals. Forensic Criminology is essential for students of criminology, criminal justice, criminal investigations and crime science. It is also useful to those criminal justice practitioners wishing to gain a more in-depth understanding of the links between criminology, criminal investigations and forensics techniques.